By: by Aly Ferguson - Courtesy of the National Association of Colleges and Employers. It is becoming more and more popular to encourage students to take a gap year to gain experience and skills that are appealing on graduate and professional school applications, and help them find their paths in their fields of choice. Much of the time, however, these recommendations may lead to spending a year volunteering, shadowing in a desired field, or interning—and maybe an unpaid position. College and graduate school applications increasingly require more than just good grades and test scores. Admissions personnel will look closely at extracurricular activities and volunteer experiences on your application. The gap year option that checks all these boxes, is paid, and allows you to focus on your goals is a service year. A service year can be a paid opportunity to develop real-world skills through hands-on service. Life experience, as well as community service experience, can be hard to gain when you spend most of your time going to school and studying in your “spare” time. If you apply to college or graduate school immediately after you graduate, you may have a hard time writing essays on what you’ve accomplished outside of academia. A service year places you in a community where you address critical needs; where you will gain both real-world and community service experience (all while getting paid) that may provide you with a killer narrative for the essay portion of your college or grad school applications. Develop real-world skillsA service year provides you with a chance for hands-on experience to gain skills in the field you hope to study. Think of it as a gap year with a purpose. Shadowing professionals in a desired field can be educational, but will not always give you the hands-on experience that will help you stand out to top schools. Through a service year, you will strengthen your areas of weakness before applying to college or graduate school—whether it be communication, compassion, collaboration, or cultural competency. During a year of service, you will gain a better understanding of the challenges facing underserved communities. Earn money for school or to pay a student loanSchool is expensive. Until that changes, a service year can help. If you want to take a gap year to pay down your student loan debt or if you want to get ahead and start saving for the cost of college or graduate school, you can do so. As an example, AmeriCorps offers a living allowance while you serve and an Eli Segal AmeriCorps Education Award is gifted after completion of your service year. Develop relationships for letters of recommendationYou may not know mayor or members of Congress personally, but a service year can introduce you to high profile people in your community. During your service year, you meet a lot of people that you can add to your professional network. Sure, professors and mentors from high school or undergrad write great letters of recommendations, but recommendations from members of a local community discussing your year of service looks good on college or graduate school applications. Impact a community while finding your pathThrough a service year, you may figure out what you’re passionate about while making a difference. Do you really know what you want to be when you grow up? A service year gives you the freedom to spend a year serving in your hometown or anywhere across the country, focusing on issues you are passionate about, such as education, the environment, poverty, healthcare, and more. 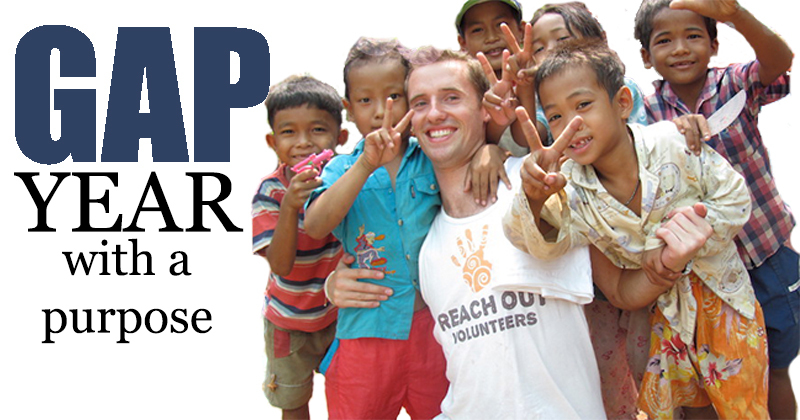 Find a service year opportunity to make the most of your gap year by joining us at ServiceYear.org. Aly Ferguson is the director of communications for the Service Year Alliance. A service year enables young people to develop essential 21st century workplace skills like communications, critical thinking, collaboration, creativity, and cultural competency that are valued by employers. Watch this video to learn more.